HYE — Chris Brundrett sat in a barn surrounded by barrels of wine he helped curate and swirled a glass of water in his hand, perhaps imagining it was something else. Brundrett, accompanied by others from the state’s wine industry, drove home his pitch: "If we can just pump out wine from California and slap a picture of the Alamo or a longhorn on it and sell it," he said, should wineries be able to put a "made in Texas" label on it? A co-owner and winemaker at William Chris Vineyards between Fredericksburg and Johnson City, Brundrett was explaining why he backed House Bill 1514 by state Rep. Jason Isaac, R-Dripping Springs, which would require that wines with a Texas label be made only with Texas-grown grapes. Under federal law, wine can have an appellation of origin from a state if a minimum 75 percent of its grapes are grown in that state. The other 25 percent can come from anywhere. “I believe having something labeled as Texas should be from Texas,” Isaac told the Tribune, adding that his bill would encourage more Texas grape production. Last year Texas produced about 3.8 million gallons of wine, according to the Texas Alcoholic Beverage Commission, and the state had more than 400 active permits to bottle, produce and sell wine. A separate study in 2015 found the wine industry contributed more than $2 billion to the state's economy. Grape growers and vineyard owners are scattered on the labeling issue. Paul Bonarrigo, co-owner of Messina Hof Winery, the state's third-largest wine producer in 2016, said he was opposed to the measure, and the Texas Wine and Grape Growers Association said they don't back Isaac's bill, either. 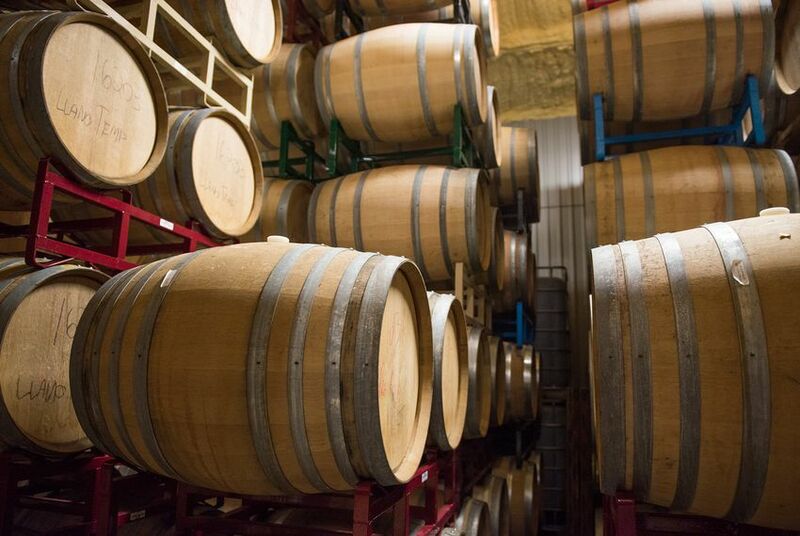 Brian Heath, owner of Grape Creek Vineyards in Fredericksburg, said the bill could help the industry down the road, but if it passed now, he said it would limit winemakers' options during unexpected events — like when strong Texas storms ruin grape crops. “You can’t predict what you can’t predict,” he said. Others in the industry believe Isaac's proposal would increase transparency and accountability and improve the authenticity of the state's wines. "We're not the wine police," said Brundrett, adding that regardless of whether HB 1514 passed, wineries would still have the right to produce and blend wine however they wished — as long as they were accurately labeled. "But it's an uphill battle because there are already other wineries who have come through and tried to pull wool over people's eyes," he said. Back at the Capitol, Isaac said that while 100 percent Texas wine was the goal, some in the industry contend that it might be too challenging to use only Texas grapes by September when the bill would go into effect if passed. Isaac said he would look into offering an amended version of HB 1514 that would phase in the change, with benchmarks at 80 or 90 percent before requiring 100 percent Texas grapes. Isaac also said his bill would allow the Texas Department of Agriculture to allow exceptions to the threshold if severe weather or drought damaged state grape crops. Regardless, Brundrett said he was happy to see discussion on the issue.